What is the characteristic of Dacromet processing products _ News _ Xinxiang Chui Auto Parts Co., Ltd.
Small series in the previous content, to share a lot aboutDacrometThe knowledge of processing technology, I believe many friends are very interested in dacromet processing. At present, the technology has become more and more popular, with the continuous improvement of machinery and equipment, the equipment has become more advanced, I believe that a lot of people in the processing of the characteristics of the product is not a special understanding, the following we understand it. Now in many factories will use to reach the equipment, Dacromet also known as zinc-chromium film coating, with extremely high anti-corrosion, in China is in the germination stage of the clean production process and a high-tech, known as the international surface treatment industry has epoch-making significance of the new process. Dacromet binding force and good coating performance: The Rockwell coating and the metal substrate has a good binding force, and with other additional coating has strong adhesion after the processing of parts easy to spray coloring, dacromet and organic coating adhesion even more than the phosphating film. 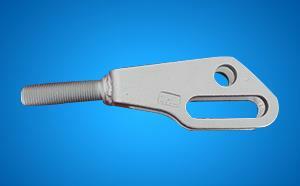 Dakroga heat Resistance: the equipment can withstand high temperature corrosion resistance temperature of up to 300 ℃. and the traditional zinc plating process temperature reached 100 ℃ when the skin has been scrapped. Dacromet pollution-free and public nuisance: Dacromet in the whole process of production and processing and workpiece coating, there will be no pollution of the environment of waste water waste gas, not the treatment cost reduction. The above simple for you to introduce the characteristics of the technology processing products, from the above content can be seen, as we have the continuous improvement of processing equipment, so that the quality of our products are better.